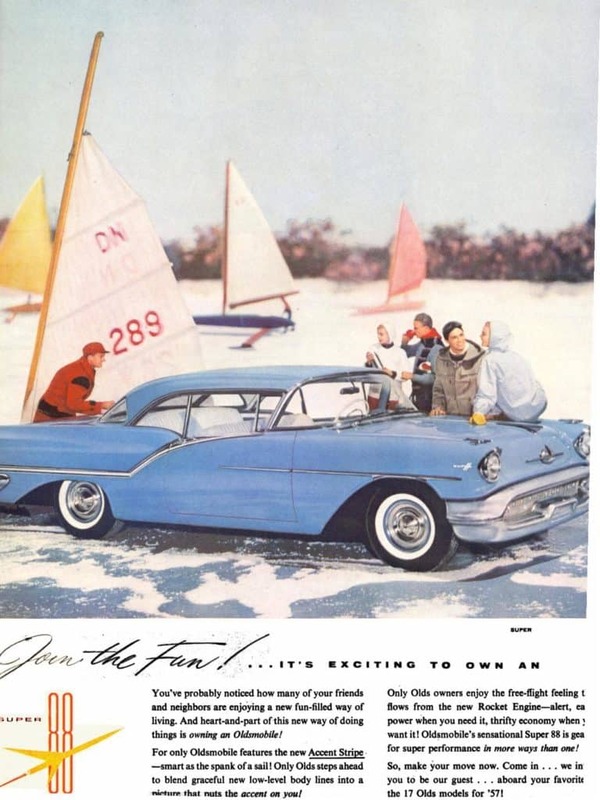 Both got me thinking about how much Detroit’s auto industry and iceboating have been intertwined, not only in advertising, but in boat development and iceboat skippers who have ties to GM, Ford, Chrysler, etc. Detroit has given us the DN and Elmer Millinbach, iceboat innovator. Renegader Lorne Sherry (Ron’s father) designed and tested trailer hitches for GM, DNers Paul Goodwin, Jim Grogan, Ted Flack, Rob Holman, and Leon Lebeau work in the industry. Photographer Gretchen Dorian’s family owned a GM dealership in Detroit. 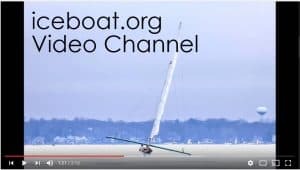 Iceboat ads have been featured on this website previously but they are always fun to revisit to help get us fired up for the upcoming season. I’ll post a few more in the coming weeks. If you have a favorite and want to share it, let me know.